We offer the latest styles from Salvatore Ferragamo, Trina Turk, Kate Spade, Coach, Lily Pulitzer and Toms, you're sure to find a frame that will make a great fashion statement. We also offer several collections from Independent designers that offer unique and beautiful frames to make heads turn. Come in soon and visit our boutique, we promise you won't be disappointed. We know that fashion and durability go hand in hand when it comes to men's frames. We have fantastic collections sure to satisfy everyone. We offer frames from designers such as Calvin Klein, Nike, Oakley, OGA, Penguin, and John Varvatos, just to name a few. Stop in and take a look. We have a fantastic selection of frames for kids. We realize that they need durability and style and you need a collection that won't break the bank. We offer a fun, colorful frames for your fashionista's as well as sporty, rugged frames for your studs. Collections include Oakley, Nike, Lucky, Flexon, Lily Pulitzer and Converse. We offer a wide variety of readers for both men and women. 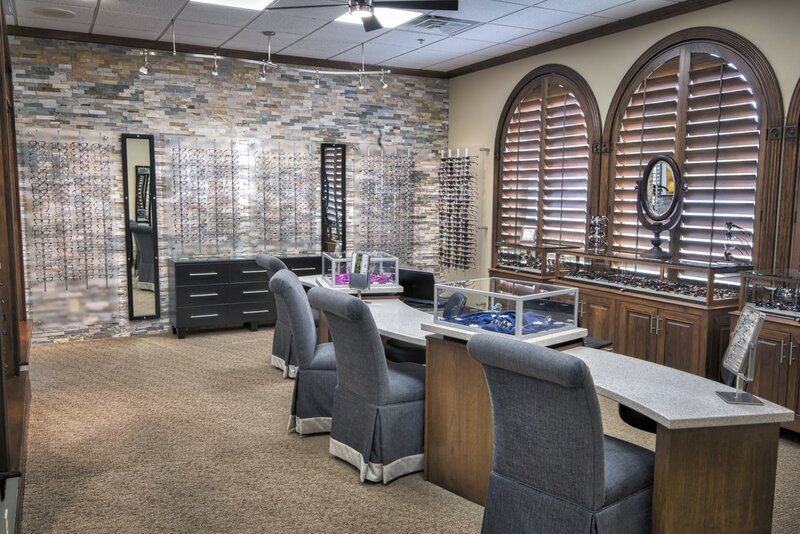 Check out our collection from "Eye O's" that offer upgrades such as Non-Glare coatings, photo-chromatic lenses and specialty lenses made just for your office environment. ​Do we have an "EyeDeal" for you! For $99, you can choose from a select group of frames and have single vision lenses edged for you, often on the same day. Great option for the budget conscience, back-up pair, or contact lens wearer!